IN2NI partners KDC and ProFound assisted three Pakistani companies that have organic certified products at the CBI stand on Biofach 2016. The companies presented a wide offer of natural food products and ingredients, ranging from dried fruits to liquorice. The first results of the trade show look very promising: one company was able to materialise an offer and the total potential orders well exceeded our initial expectations. The exhibiting companies are taking part in the CBI Export Coaching Programme for the natural ingredients sector in Pakistan. This programme builds the capacities of SMEs in Pakistan by providing tailored assistance and trade fair support. We look forward to the next trade fair participation at Vitafoods. 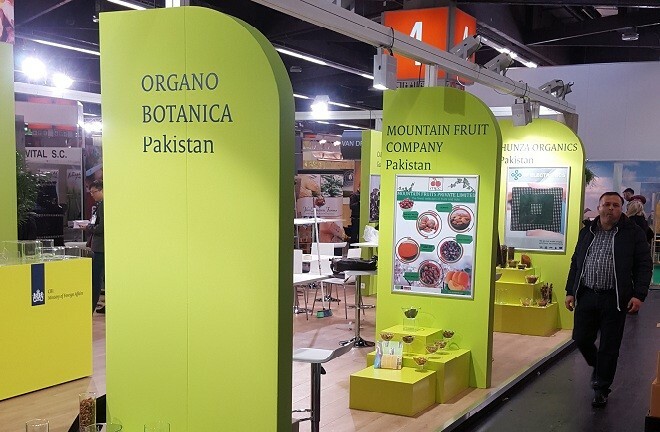 0 Responses on Supporting Pakistani companies at Biofach 2016"